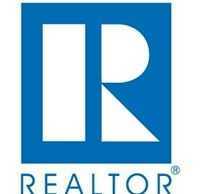 WASHINGTON, D.C. – March 5, 2014 – (RealEstateRama) — Pending home sales were essentially unchanged in January, according to the National Association of Realtors®. Monthly gains in the South and Northeast were offset by declines in the West and Midwest. The Pending Home Sales Index, a forward-looking indicator based on contract signings, edged up 0.1 percent to 95.0 in January from an upwardly revised 94.9 in December, but is 9.0 percent below January 2013 when it was 104.4. The December index reading was the lowest since November 2011, when it stood at 94.6. The PHSI in the Northeast rose 2.3 percent to 79.0 in January, but is 5.3 percent below a year ago. In the Midwest the index declined 2.5 percent to 92.9 in January, and is 9.3 percent lower than January 2013. Pending home sales in the South increased 3.5 percent to an index of 111.2 in January, and is 5.5 percent below a year ago. The index in the West fell 4.8 percent in January to 84.2, and is 17.5 percent below January 2013. Existing-home sales are expected to be weak in the first quarter, while prices continue to rise from limited inventory. “Increasing new home construction can quickly solve two problems, producing more inventory and taming price growth,” Yun said. The pace of sales should pick up in the middle part of the year. Total existing-home sales are projected at just over 5.0 million in 2014, slightly below the volume recorded last year. The national median existing-home price is forecast to grow in the range of 5 to 6 percent this year.